Author adminPosted on February 23, 2016 Categories Uncategorized1 Comment on Hello world! Handheld Calibrated High Intensity Light Meter: measures high intensity light and displays the intensity values on an LCD display. One switch selects between normal operation, peak readings only, or value hold. Another switch selects between two different light probes. A USB port provides a connection to a PC for configuration, calibration and data logging. This project involved developing both the embedded software for the device itself, and desktop software for configuring and calibrating the device and logging intensity readings to disk. The embedded side of the project was written in C using the Microchip development environment (compiler and emulator) for a PIC18F2550 microprocessor. The desktop side of the project was written in Visual Basic using MS Visual Studio 2005. 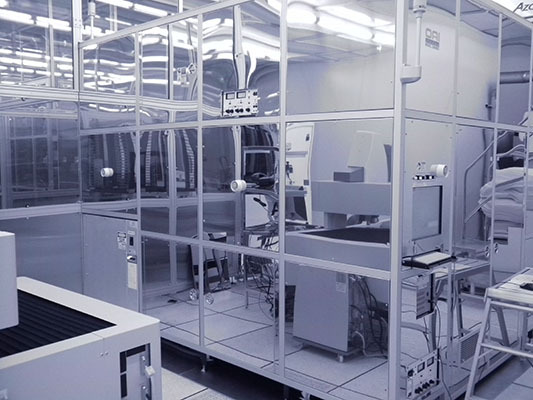 OAI is a Silicon Valley-based manufacturer of advanced precision equipment for the Solar, Photovoltaic, Semiconductor, MEMS, and Microfluidics Industries. Developed the user interface and control software for a machine that exposes large flat panel substrates (DPIX Digital XRay Sensor Panels) with a high intensity light sources to develop circuit masks and remove developer around edge of panel using an Adept gantry robot. Integrated with factory material handling robot. Developed software that runs on a Palm OS device to control a high intensity light source. Programmed to control light source through a serial port, read intensity measurements from a light probe, graph light intensity profiles and log the results. 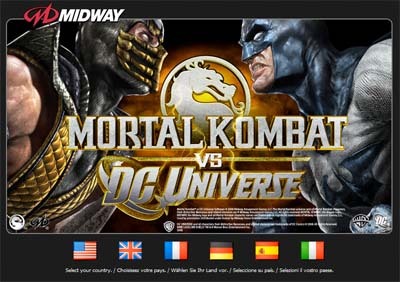 Midway Games is a Chicago based developer and manufacturer of home video game entertainment products. Ongoing development and support of the corporate website as well as creating other internal and external websites supporting the business functions and online gaming functions. Convert corporate site from defunct unsupported CMS system, to another CMS system, Rhythmyx incorporating a new site design and add functionality. Created online game score website for the “Rise and Fall” title. Created the Midway Arcade website which included Flash elements for the “In The Arcade” section, and integrated the site to the online store. Created intranet applications to manage various business functions, Game Tester Database registration, Point-of-Purchase Ordering System, Media Asset Approval System. Implemented custom Quicktime effects to animate page transitions for a cable set top box user interface specified by Disney Corporation. Lead and mentored engineers in the architecture and implementation of embedded Java based applications for Cable/Satellite set-top boxes for a Sun Microsystems project. Designed and developed an Enterprise email application for Sony for their “set top box” that included an HTML thin client and J2EE JavaBean integrated with JavaMail deployed on a Weblogic Application Server on a Unix system. The 200-APS (Advanced Processing System) is a next generation photo processing system for 200mm wafers. The machine is highly scalable by adding additional banks of modules. Wafer transport between the cassettes, the processing modules, and the stepper were handled by three separate robots. Helped rebuild a team of software engineers to complete development of the 200-APS after an unusual exodus of several key software engineers. Provided software design and development on many aspects of this complex machine from the user interface, to mid and low level engineering. Software was based on a Smalltalk factory automation software framework from Texas Instruments called ControlWorks, and C for low level computer boards. 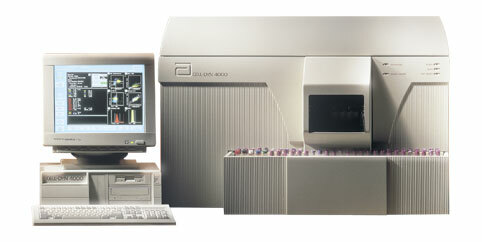 The Cell Dyn 4000 is a Hematology Analyzer delivering fully automated Monoclonal Ab testing, fully automated reticulocyte analysis with IRF, fluorescent DNA staining of nucleated red blood cells, optical and impedance platelet measurement, autoloader with multiple type tube capacity, five-part leukocyte differential, 106 samples per hour, and walkway automation with 41 parameters. Assumed role of lead user interface architect and manage the work and integration of several developers for this medical instrument division developing this hematology analyzer resulting resulting in an FDA approved product that is still be used in the industry today. Mentored staff by imparting my knowledge for issues regarding Object Oriented Design, C++ and general Unix system level questions. Designed and developed the user-interface framework, lower level widget classes, real-time data collection and display classes, and an interactive simulator. DirectTalk/6000 is an interactive voice response system running on the AIX RS/6000 platform. Designed and implemented the main user interface component for this division’s telephony application generator. Developed embedded extensions to the real-time telephony channel process to decompress digitized voice, manage voice data transport and manipulation (play/record/save/delete).